Greeting Cards – 2 adorable cards all set and ready so your always prepared. File Folders – not just your typical file folders, these ones are much cuter! Bunting Banner – this would look adorable at a Girl Boss desk! Firming Mask – perfect to hydrate your stressed skin! Desk Scent Sachet – tropical scent for your desk to keep the air fresh! Succulent stickies – super cute sticky notes! Bookmarkers – love these little page and book markers! 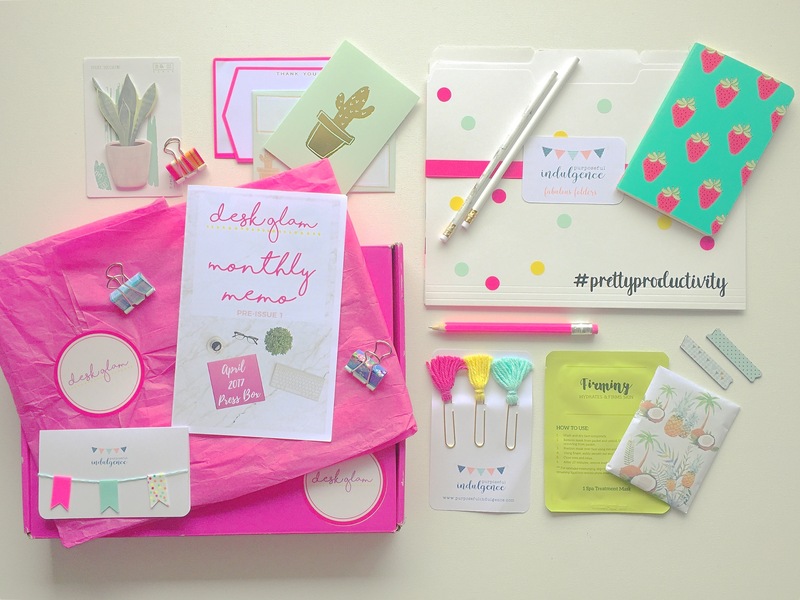 Pens, pencils, washi tape magnets and binder clips – all cute bonus items!